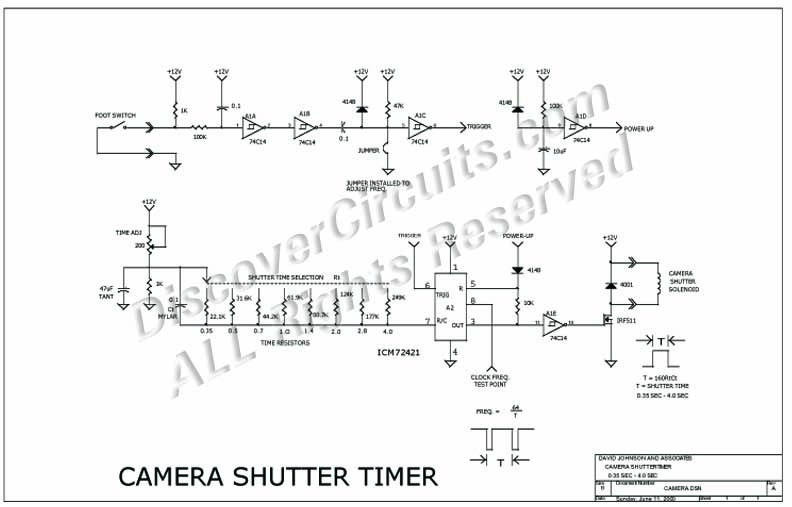 Circuit: DARKROOM CAMERA SHUTTER TIMER__ Circuit designed by David A. Johnson, P.E. This circuit was designed to control a film exposure shutter for a darkroom. It has 8 time steps ranging from 0.35 seconds to 4 seconds. It is activated by a foot switch and draws power from an external 12-volt DC supply.